Mr. Ruff has been a participant/observer to the development of Michigan’s philanthropic community over the past several decades. 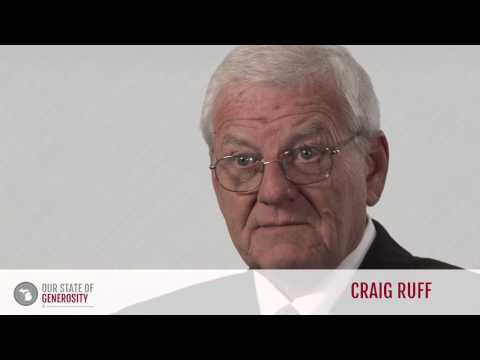 During his years in state government and with Public Sector Consultants, Mr. Ruff worked closely with Michigan’s nonprofit organizations and foundations. He is a highly respected public servant and consultant. He has been both a formal and informal advisor to many of the philanthropic leaders of Michigan and for public-private partnership efforts between the nonprofit sector and government. 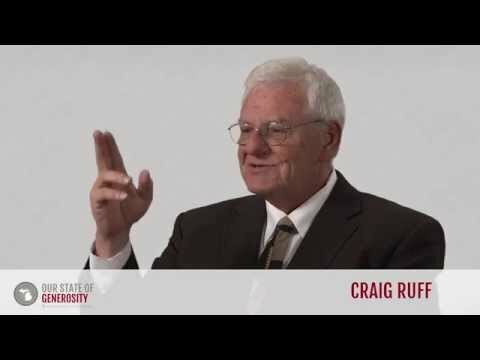 As a thoughtful activist and observer, Mr. Ruff brings insight into the history of the development of Michigan’s philanthropic sector. 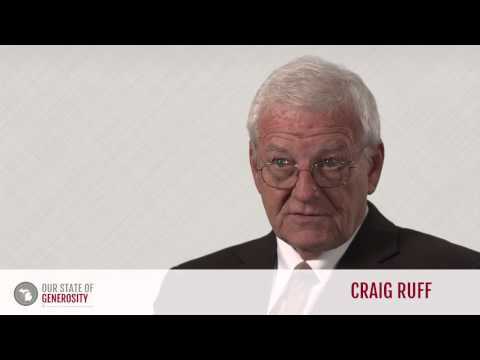 Mr. Craig Ruff talks about his career in philanthropy. Mr. Craig Ruff talks about how Michigan's international influence in philanthropy stems from its remarkable leadership. Mr. Craig Ruff talks about how servant leadership in Michigan goes hand-in-hand with its cultural history. 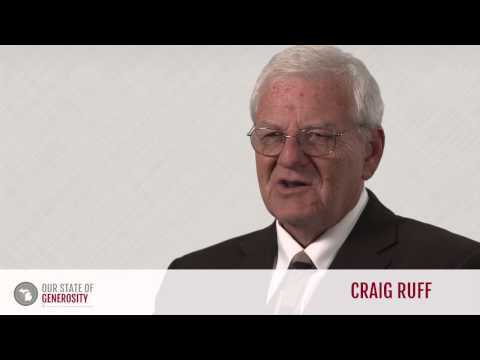 Mr. Craig Ruff talks about the Council of Michigan's (CMF) relationship with public policy. Mr. Craig Ruff provides tips for working with government to implement public policy initiatives. 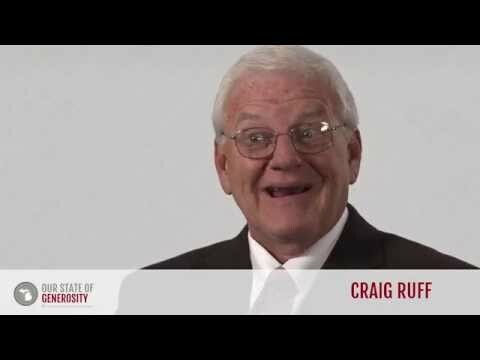 Mr. Craig Ruff talks about the difficulties and successes involved in the passing of the Michigan Community Foundations Tax Credit. Mr. Craig Ruff talks about how important it is for nonprofits to advocate for their cause in the public sector. Mr. Craig Ruff talks about the relationship between nonprofits and government through the Office of Foundation Liaison. Mr. Craig Ruff talks about the Michigan Nonprofit Association's (MNA) relationship with public policy. 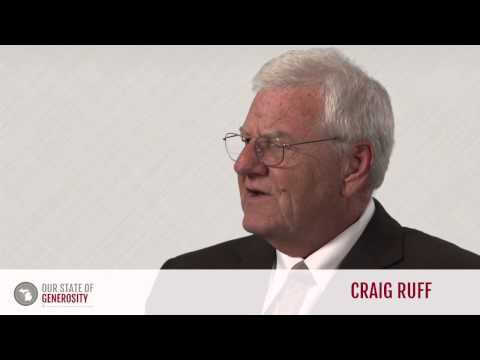 Mr. Craig Ruff talks about the interworkings of the public, profit, and nonprofit sectors of society. Mr. Craig Ruff talks about the importance of networking and building relationships to accomplishing goals and making change. 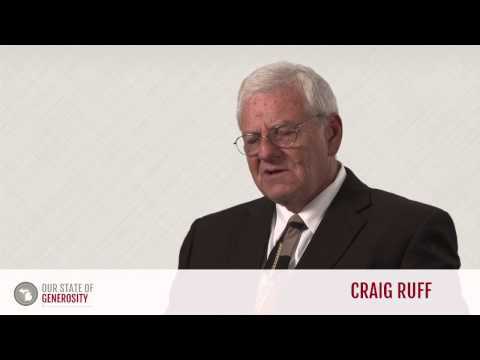 Mr. Craig Ruff talks about how effective leadership means not aiming for just one big goal, but many many little ones. 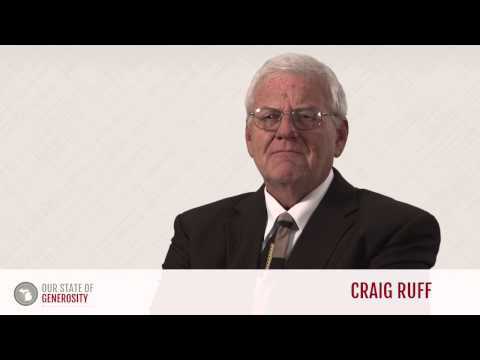 Mr. Craig Ruff graduated from the University of Michigan with a Bachelor of Arts in political science in 1971 and a Masters of Public Policy Studies in 1973. Mr. Ruff cites his experience working for Gov. William G. Milliken as fundamental to his understanding and introduction to philanthropy. Mr. Ruff has become a widely respected public policy expert across the state of Michigan, helping coordinate for-profit, nonprofit and government resources into public policy change. 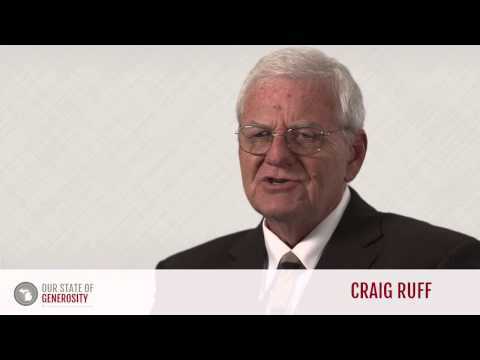 Mr. Ruff served for 11 years in Michigan’s executive office, both as a policy advisor to Gov. William G. Milliken and chief of staff to Lt. Gov. James Brickley. 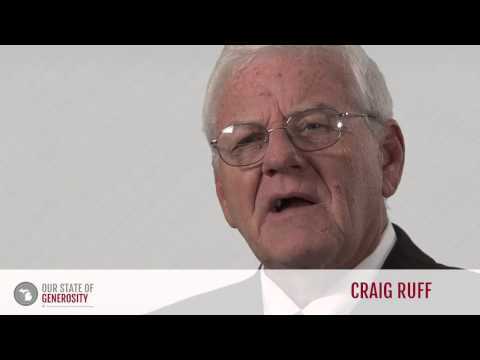 Mr. Ruff served as president of the Lansing-based policy research firm Public Sector Consultants from 1986-2006. 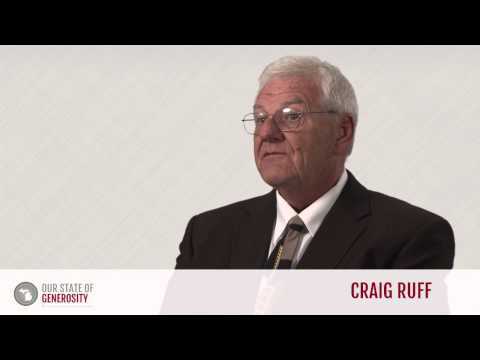 Through Mr. Ruff’s leadership, Public Sector Consultants became a key element in the effectiveness of Michigan’s successful public-private partnerships. Public Sector Consultants provided unbiased data and information to clients – including various foundations, the Michigan Nonprofit Association, and the Council of Michigan Foundations – that was used to educate legislators on the impact of the Michigan nonprofit sector within their own communities. By understanding the nonprofit sector’s influence on job creation and service provision, legislators were able to develop a true sense of the importance of the third sector. The information provided by Mr. Ruff and Public Sector Consultants was a critical base in forming public-private partnerships for the greater good. In addition to his work at Public Sector Consultants, Mr. Ruff has lent his wisdom and talent by serving on over 75 nonprofit boards, with a particular interest in supporting the arts and health care organizations. As board chair for the Concerned Citizens for the Arts in Michigan, Mr. Ruff was instrumental in helping to create a merger between four statewide arts organizations. Through this merger, the new organization — ArtServe Michigan (now Creative Many Michigan) — was able to better utilize resources to pursue the same mission of advancing the arts. Mr. Ruff cites ArtServe Michigan as an example of an important lesson – nonprofits shouldn’t fear merging, but embrace the ability to better serve their mission and clients by combining resources. 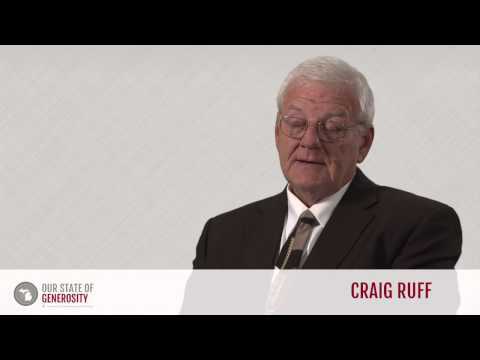 In the early 1990s, Mr. Ruff helped turn a budding public interest in early childhood education into real change by creating an informal roundtable of over 50 respected public leaders to champion the issue of early childhood education. Through collaboration, this informal leadership team was able to bring early childhood education to the forefront of public awareness and advocate for reformed policy and increased services. According to Mr. Ruff, they recognized that “what they needed was a cultural change; there wasn’t enough appreciation for brain development and early childhood education. To enhance public policy, [we] needed visible leadership among publicly accepted leaders.” The group raised $5 million to purchase the media campaign “Be A Hero From Age Zero,” as well as advocating for local civic groups who supported early childhood education. What started as an informal group of local leadership evolved into the Early Childhood Investment Corporation, a public-private partnership since 2005. Currently, Mr. Ruff brings his experiential wisdom to his position as lecturer at the Gerald R. Ford School of Public Policy at the University of Michigan. Mr. Ruff was interviewed regarding his insights and experiences working with Michigan’s philanthropic community and the Our State of Generosity (OSoG) partners. The following are selected quotations from his interview specifically related to the five organizing themes of the OSoG project.